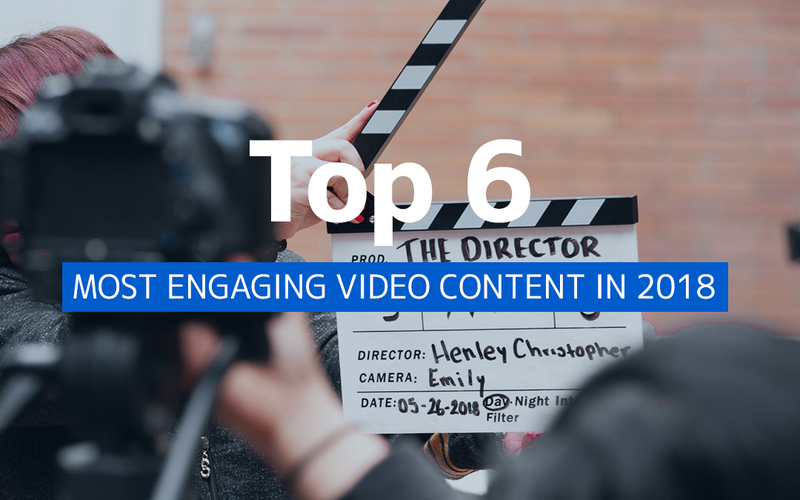 There is no doubt that video has been proven to be one of the most engaging types of marketing content. With a large variety of the different types of video content that you can choose from, there are endless possibilities. Here are 6 different types of video content that has been proven to engage consumers and viewers the most. A vlog is an acronym referring to a video blog or video log, and is a form of video. Vlogs can be taken in one take or cut and edited into multiple parts. Vlogs usually consist of highly personalised content, and are hence one of the most engaging form of video content as viewers are able to relate to the contents of the video. Since vlogs generally take on a conversational tone, viewers will definitely be able to enjoy them comfortably. They might even subconsciously retain information during the process. Vlogs aren’t just limited to YouTubers or personal channels. Companies can also create videos with a vlog concept. It will definitely be able to appeal to your viewers, especially the younger target audience such as millennials. If you’re looking for a way to boost the reputation and branding for your company, company culture videos are the way to go. Company culture videos help showcase the culture, mission and vision of the company. A good company culture video would be able to help your target audience and consumers to understand what sets your company apart from all the other competitors. This way, it could improve the relationship between your company and your consumers, thus increasing brand loyalty. An example of a company culture video would be “Meet the Team” videos, which are becoming fairly popular over the years, widely adopted by many companies to promote goodwill. Gram did a company video awhile back for Trigen. We showcased their different services and included a little behind-the-scenes footage to show consumers the culture of their company. It is naturally part of human nature to be curious. Viewers generally love to be in on the behind-the-scenes action, and that’s why movies and dramas release exclusive behind-the-scene footage to the general public. Giving consumers and viewers exclusive insight into a project or process will definitely engage and arouse the interest of your consumers. Furthermore, behind-the-scenes videos usually require less work and polishing as compared to typical traditional videos. Behind-the-scenes videos also work for both B2B and B2C companies and brands, so do not hesitate to make use of them. Customer Testimonial videos are videos showcasing how an offered service or product has been proven beneficial to another company or person. When it comes to trying to convert your viewers or target audience to switch to your company, testimonial videos come in very handy. Not only do they demonstrate the benefits of your service or product, but they also provide credibility to your company. With a credible testimony from a third-party point of view that is not coming from your company, your viewers will definitely be more likely to take their word for it. Here’s an example of a Customer Testimonial Video that Gram did for Payboy, a HR company. One of the few and main reasons why unboxing and review videos are so popular is because you’re taking the risk that they might not want to take. This especially applies to the technology industry, whereby items are not cheap, and can cost between a few thousand dollars to tens of thousands of dollars. Therefore, unboxing and review videos will definitely be able to generate more views than an average video, especially if the item featured is popular or trending in the market. They are easy to film and script out as well. Make sure to showcase your genuine personality whilst doing the reviews so that your viewers feel more connected and relate better to your content! Although the last on our list, explainer and demo videos are not to be underestimated as well when it comes to the power they have in terms of engagement. They are powerful tools, making use of visuals in the form of bar charts and motion graphics, to name a few, to help disseminate the messages of your video. By making use of visual aids and audio to help bring across the messages clearly to your viewers, this increases the level of engagement of your video. Viewers will be able to understand your messages easily and this also increases the average amount of time that your consumers spend watching your videos. Here’s a demo video that Gram did for Uber to showcase their application, as well as educate viewers on how to use their application. Having engaging video content will definitely increase the chances of success in your marketing strategy. Videos are powerful tools by themselves and as the market and demand for them rises, the quality of your average videos also rises. With engaging video content, the possibilities are endless and you can use videos to achieve just about anything, from telling a brand story, to promoting a cause. Enjoyed this article? Read Gram’s article on 5 types of Corporate Videos and when to use them here!